Giving how the web has transformed photo sharing, it’s a little odd that it hasn’t done much to the tangible photo space. Sure, just about all of the major sites allow you to order prints, and many allow you to create fairly simple photobooks, but those are essentially the same products they’ve always been — they’re just slightly easier to make. Keepsy wants to change things up. The new startup founded by Peter Weck and Blake Williams, focuses on creating “more than a photo album.” Essentially, they use the social dynamics of the web to crowdsource the creation of photo albums amongst friends. So instead of me making a photo album for you filled with the pictures I have with the two of us in them, a group of friends bring all their pictures together to make the book. The first product Keepsy is focusing on is for birthdays. Up to 100 friends can collaborate on an album for a friend. This works through Facebook. Someone initiates the Keepsy book, then they invite friends to help them make it. Each person adds the pictures they think will be good for the book and contributes to the cost of the book (everyone can also chip in at this point for a gift card to something like Amazon). Keepsy is smart enough to give you a list of all the common Facebook friends between the person who starts the present and the person who is going to receive it. And obviously, all of this is hidden from the person who will receive it, until it’s ready. Users can also scan public photos from Facebook and Flickr to find more images to add to albums. All of this can be made into a digital scrapbook for free, but if you want the tangible album, prices start at $30. 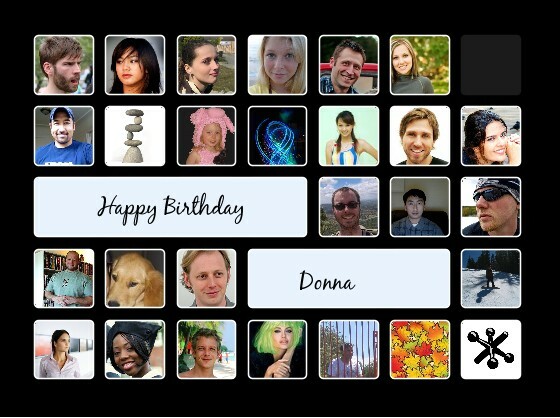 Keepsy, which is launching in public beta today with this birthday product, has been backed by Dave McClure, James Hong, Tim Connors, and a few other Angels. Two rounds of Angel funding have helped them raise $1.1 million so far.